Carabao Cup Quarter-Final. Kick-off: 7.45pm, Wednesday 19th December. Live on Sky Sports Main Event/Sky Sports Football. IF this North London derby is a repeat of the last one at the Emirates then we're in for a cup cracker. 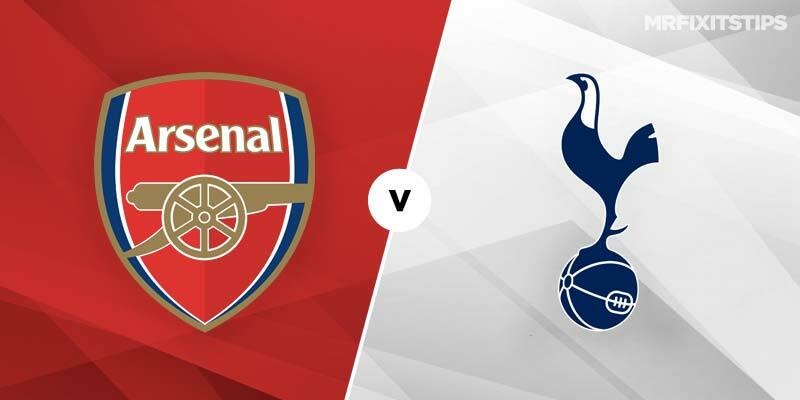 Arsenal's 4-2 win over Tottenham last month was a game that had everything, including a moron in the crowd who brought shame on Spurs by throwing a banana at Gunners striker Pierre-Emerick Aubameyang. The Gabon star grabbed a double as he hit back on the park and Aubameyang will present the biggest threat for Arsenal in this one. He's 17/4 to net first and 13/10 for anytime scorer. Manager Unai Emery has used the Carabao Cup to give some of his fringe players a game but that was probably because they faced modest opposition in Brentford and Blackpool. It will be a different story for a tie against their bitter rivals with a semi-final place up for grabs and both managers should field the strongest teams possible. They've had to use the depth of their squads recently due to a spate of injuries and Eric Dier, who scored in the last derby and sparked a rammy with his celebration, will sit this one out for Tottenham. But Spurs look in better shape for this clash than that 4-2 defeat, which came after two massive clashes against Chelsea and Inter Milan. They're 17/10 for an away win, with Arsenal 29/20 and the draw 5/2 with 888 Sport. Boss Mauricio Pochettino left some of his big hitters on the bench for the weekend win over Burnley but they should return here and I fancy Son-Heung Min for a goal. The Korean is 13/2 to break the deadlock and 9/4 to net at any time with 888 Sport. The bookies are expecting more goals in this one, with over 3.5 strikes available at just 31/20 with 888 Sport. But I fancy this cup tie to be a bit tighter and will be backing under 2.5 goals at 11/8. I also like the look of a goal not being scored in each half which is 7/5 with 888 Sport. The last derby was a feisty one so there might be a red card which is 11/4 with some firms.